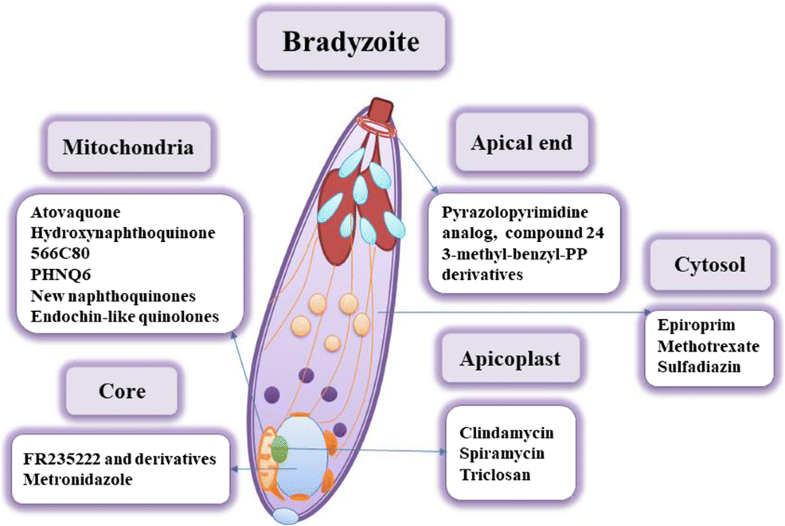 Currently, there is no approved therapy that can eradicate Toxoplasma gondii tissue cysts, which are responsible for chronic infection. This systematic review was performed to assess drugs or compounds that can be used as anti-T. gondii tissue cysts in vitro and in vivo. English electronic databases (i.e., PubMed, Science Direct, Scopus, Google Scholar, and Web of Science) were systematically searched for articles published up to 2017. A total of 55 papers published from 1987 to 2017 were eligible for inclusion in this systematic review. Among the drugs, atovaquone and azithromycin were found effective after long-term inoculation into mice; however, clinical cases of resistance to these drugs have been reported. Also, FR235222, QUI-11, tanshinone IIA, and hydroxyzine were shown to be effective against Toxoplasma cysts, but their effectiveness in vivo remains unknown. Additionally, compound 32, endochin-like quinolones, miltefosine, and guanabenz can be used as effective antiparasitic with the unique ability to reduce brain tissue cysts in chronically infected mice. Importantly, these antimicrobial agents are significant criteria for drug candidates. 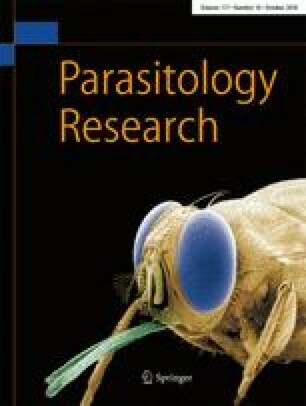 Future studies should focus on the biology and drug susceptibility of the cyst form of T. gondii in chronic toxoplasmosis patients to find more effective strategies that have sterilizing activity for eliminating T. gondii tissue cysts from the host, preventing disease relapse and potentially shortening the required duration of drug administration. We would like to thank the Vice Chancellors for Research of the Mazandaran University of Medical Sciences, Sari, Iran (grant number 1430) for the financial support. We would also like to thank the Student Research Committee, Mazandaran University of Medical Sciences, Sari, Iran. A.D. and M.S. designed the systematic review protocol; M.M., S.S.H., and S.H.S. searched the databases for potentially eligible articles based on their titles and abstracts; M.M. and S.S.H. extracted the data; M.M. wrote the manuscript; and S.M. critically reviewed the manuscript. All the authors read and approved the final manuscript for publication.